APPLICATIONS FROM EXPERIENCED HGV 1, ADR DRIVERS SHOULD BE SENT TO THE CONTACT ADDRESS. 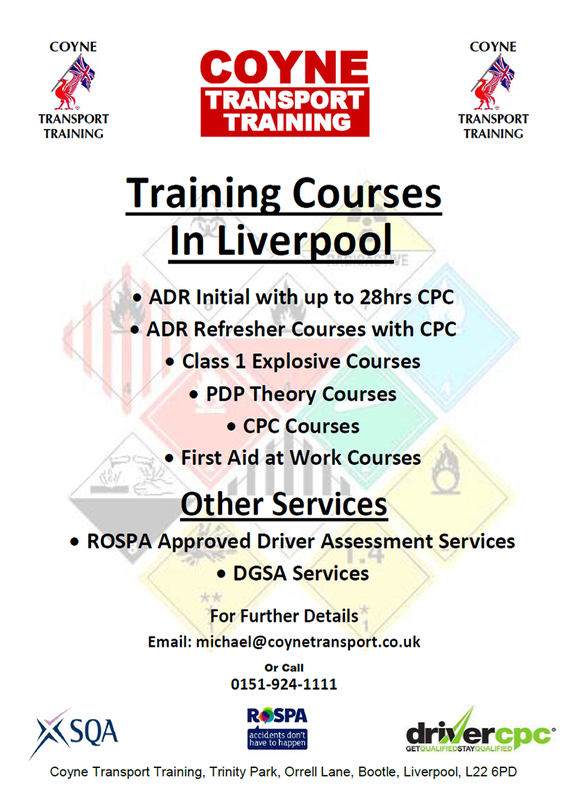 Coyne Transport Training offers driver CPC training that is relevant to the drivers operation. As a transport company ourselves we can better relate to the driver�s needs. 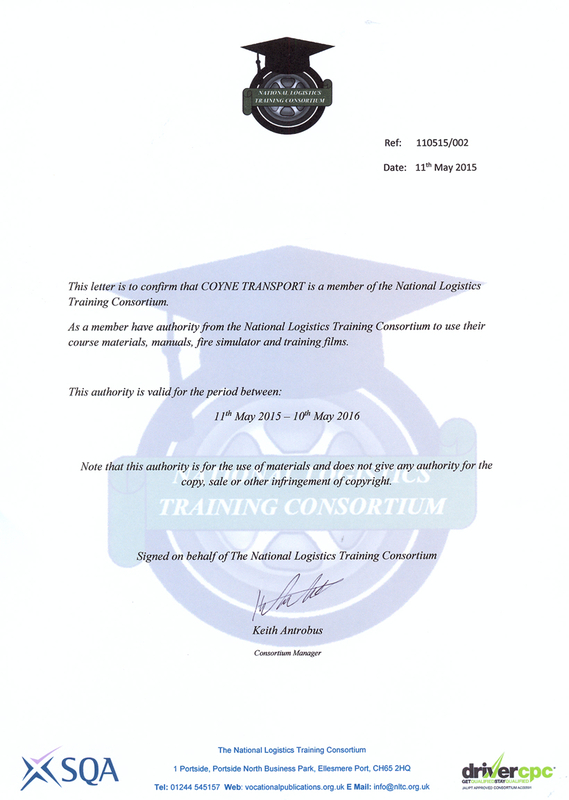 To comply with legislation a driver must complete 35 hours training in a 5 year period.